Our trained tasters can’t comment on the stronghold, but they did try 10 sliced beef jerky snacks and five meat sticks. Three of the beef jerkies and two of the sticks tasted very good; the rest were just ok. 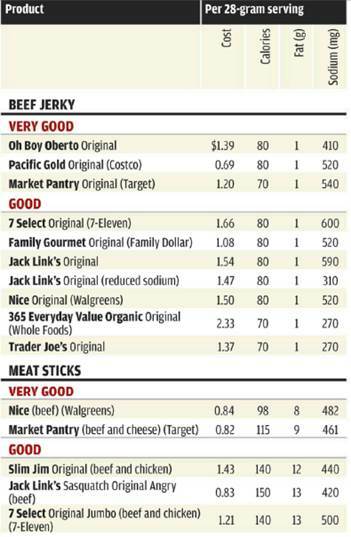 When it comes to nutrition, the jerkies win, with fewer calories than the sticks and far less fat. Jerky is made from lean cuts of beef that are cooked at low heat for a long time, so very little fat makes it into the end product. On the other hand, meat sticks, encased like sausage, have 8 to 13 grams of fat; including 3 to 5 grams of saturated fat. The sticks also have about twice the calories of the jerkies. All of the tested products are loaded with sodium. 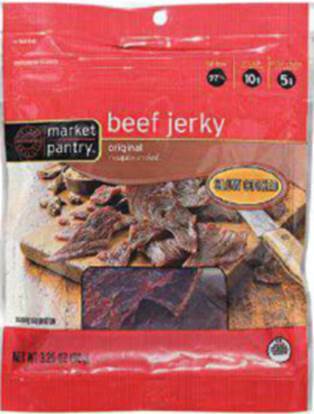 7 Select Original jerky, for instance, has 600 milligrams per serving. If you were to eat the contents of a 3 – ounce bag ( that’s not a lot), you’d consume more than 1,500 milligrams of sodium, the American Heart Association’s suggested daily limit. 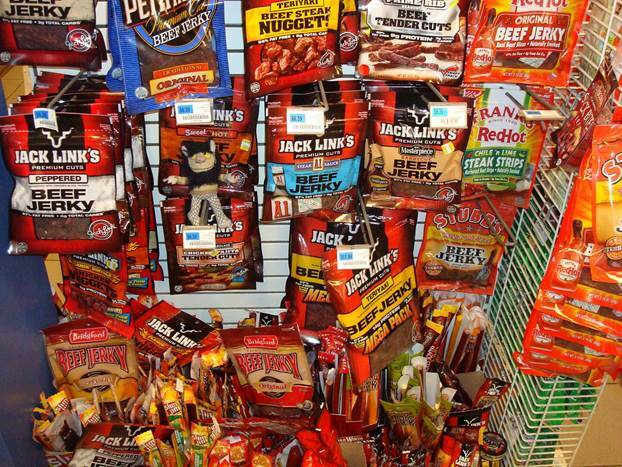 All of the meat sticks and some of the jerkies contain preservatives, including nitrites. The jerkies from Oh Boy Oberto, Pacific Gold (Costco), Trader Joe’s, and 365 Everyday Value Organic (Whole Foods) lack those additives. Other jerkies are made of turkey, chicken, buffalo, bacon, salmon, or tuna, but nutritionally, none we’ve seen varies much from beef. The best jerkies have a just-right chewy texture. Oh Boy Oberto Original is a tad spicy, with well-blended smoke, brown sugar, garlic, and fruit flavors. Pacific Gold is sweeter than most and has a distinct black pepper flavor. Market Pantry Original has fairly complex and intense flavors, though our testers found the taste varied slightly from piece to piece. Some of the lower-rated jerkies are too dry and tough. Tasters compared the texture of Nice Original jerky to that of a splintering popsicle stick. The bottom-ranked store brands from Whole Foods and Trader Joe’s are too soft and have an organ-meat or metallic note. The best meat sticks aren’t from top-selling Slim Jim and Jack Link’s; our experts said those taste fatty and have tough castings. Nice, best among the sticks, has salami-like flavors, and runner-up Market Pantry is a little spicy and has more meat flavor than others. Neither jerky nor meat sticks are exactly good for you, but jerky is the more healthful protein pick-me-up. 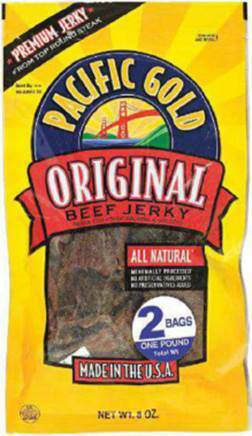 Among the very tasty choices, Pacific Gold is the best value. That’s the rise in sales of jerky for the year ending on Dec.2,2012, according to SymphonyIRI Group, a Chicago market-research firm.